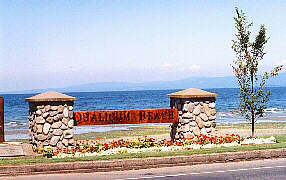 The beautiful ocean side community of Qualicum Beach, on central Vancouver Island, thrives as a tourist and retirement community. Facing east into BC's Strait of Georgia, its on Vancouver Island's Hwy 19 (the Island Highway) and is only 10km (6mi) north of Parksville. Sportfishing is good in this area, in fact, the name Qualicum means "where the dog salmon run". Golfing and just plain beachcombing are also popular. 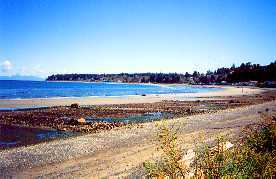 This pleasant village of Qualicum Beach is close to the beach, and along the way there are quaint shops, galleries and restaurants.